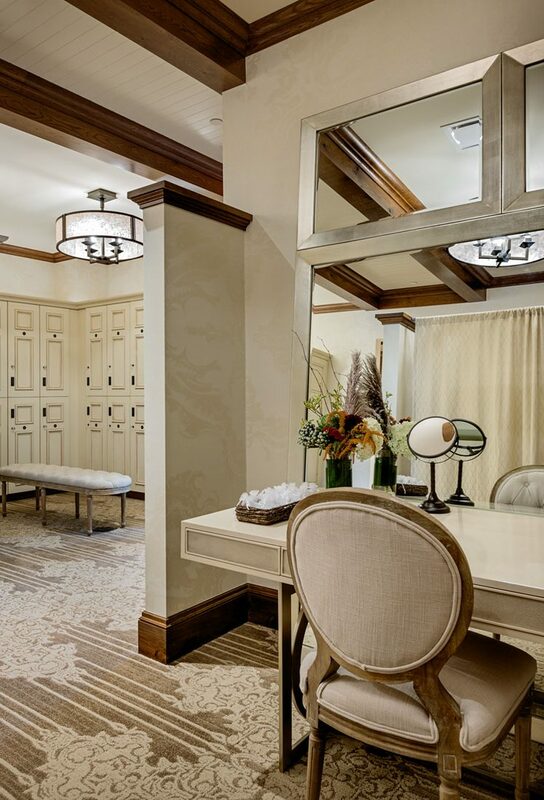 The owners had a vision of a “lifestyle club” for their new clubhouse, but not a traditional country club. 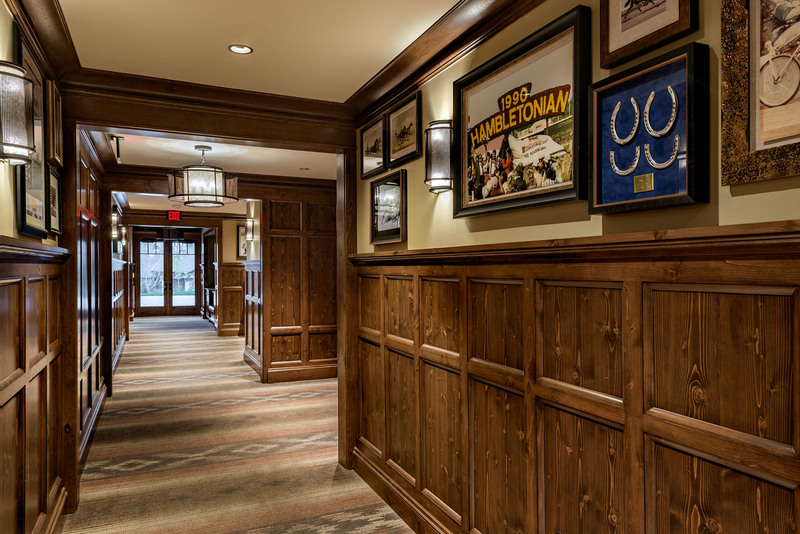 Our task was to create a family friendly environment, where guests felt comfortable to be themselves, put their feet up, relax, and socialize without the formal scrutiny encountered at traditional clubs. Another requirement was to capture the essence of the great outdoors; of “big sky”, distant views and natural topography. 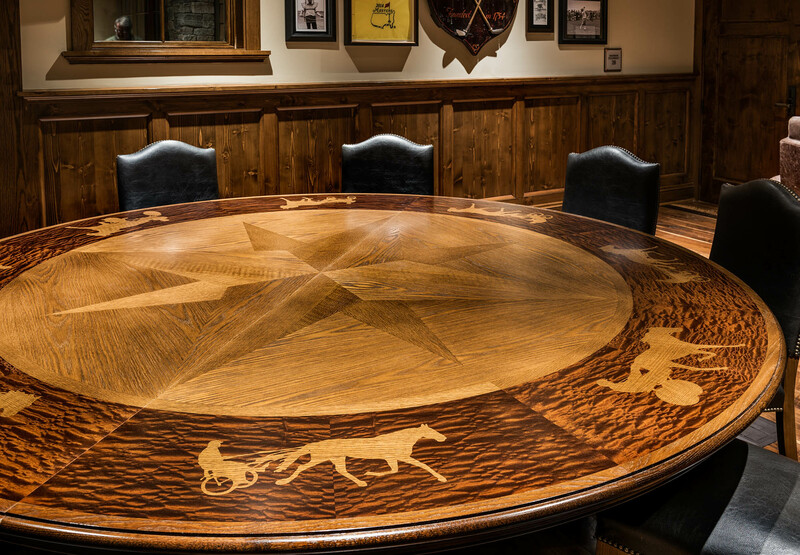 The owner’s love for the American West and their passion for horse racing generated the building’s theme. We created a rustic canvas with hints of old world luxury as a backdrop to the incredible vistas provided by the surrounding landscape. To make a memorable sense of arrival, a jaw-dropping piece by glass artist Dale Chihuly is suspended at the main entrance located at the central intersection leading to the club’s various amenities. 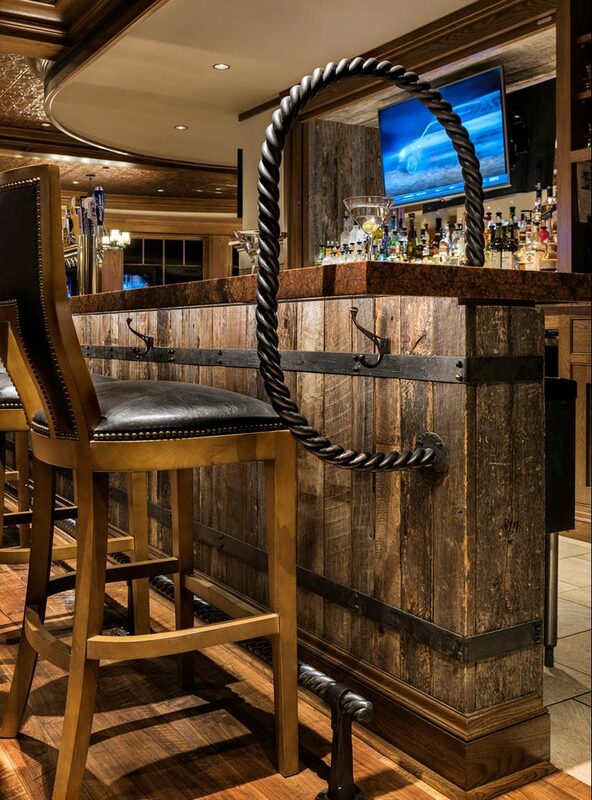 In the sports bar, a deep horseshoe-shaped bar uses reclaimed barnboard and black steel straps on the front to mimic the look of whiskey barrels. 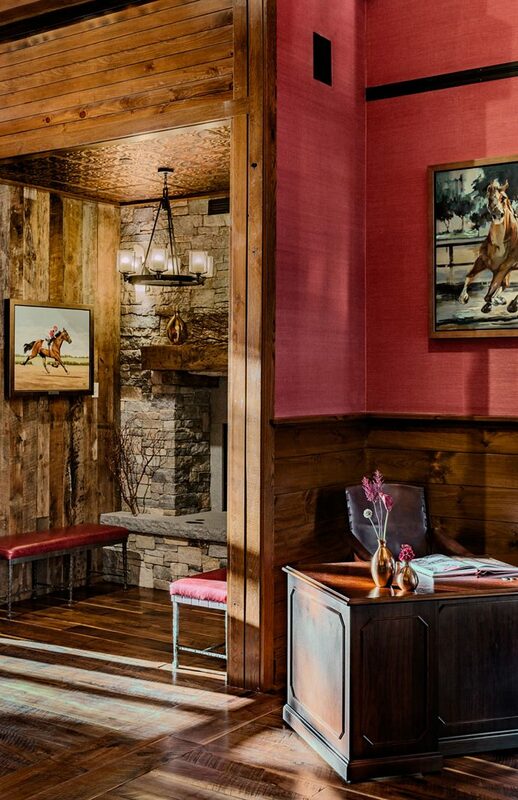 Hammered bronze tin ceilings, rustic wood accents, leather and cowhide furnishings fill the dining area with rich textures. 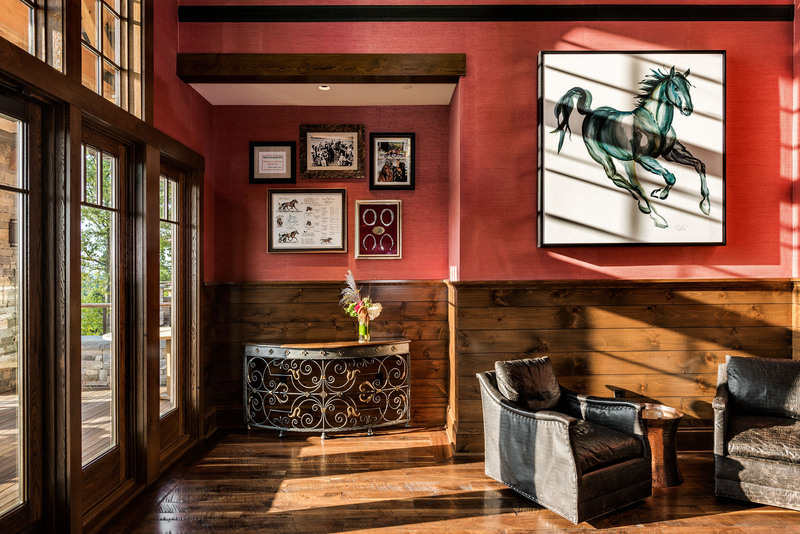 The client’s impressive equestrian art collection curated over time fills the walls carrying the story of the club’s owners throughout the building. 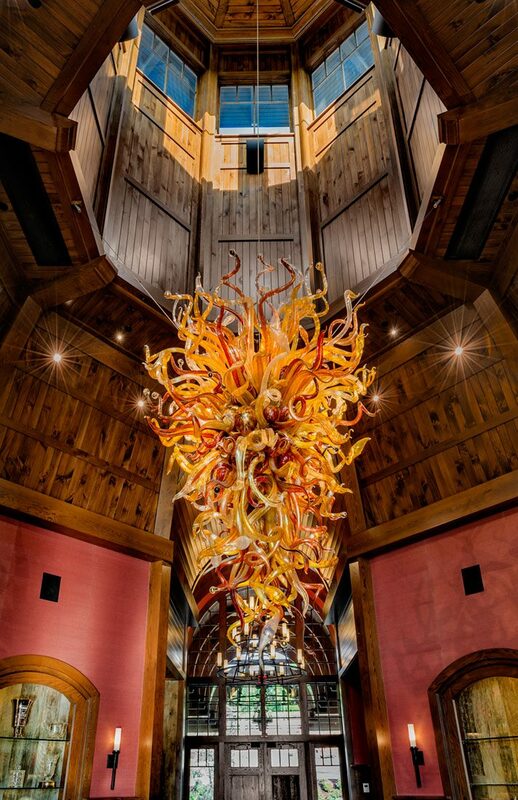 Custom hanging glass sculpture designed by Dale Chihuly in red, gold, and champagne. 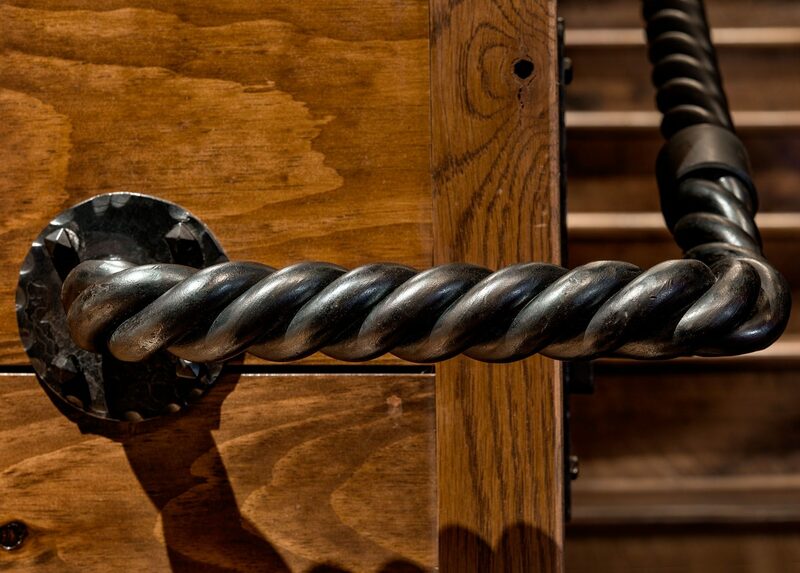 Custom hand railing made from twisted bronze. 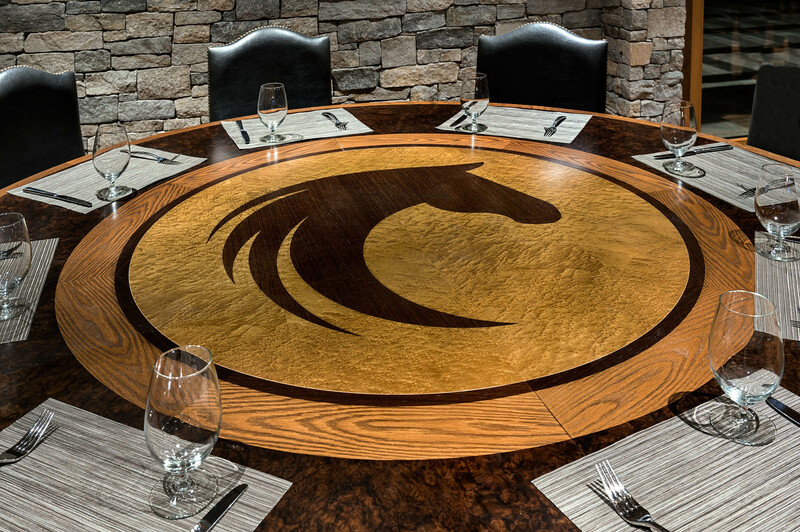 Reclaimed white oak was used in the dining room, and bar area. Two full size golf simulators in the full-service pro shop. 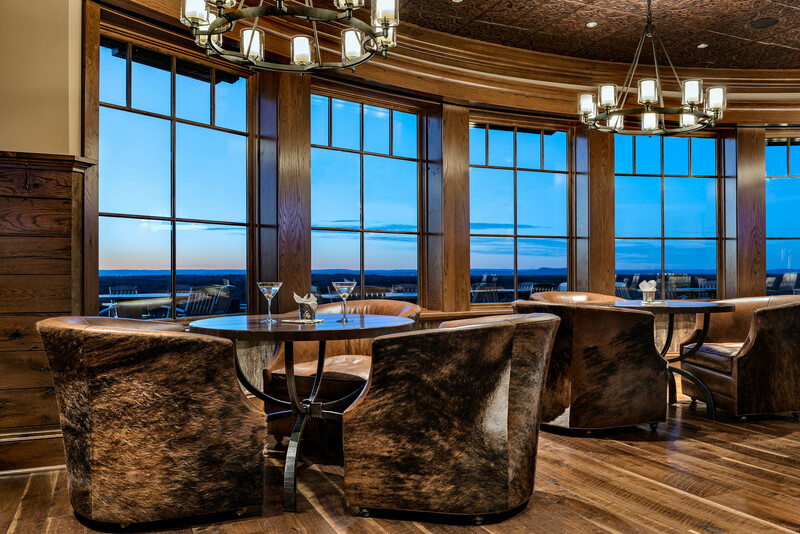 Full bar, and formal dining room with views towards the Berkshire Mountains. 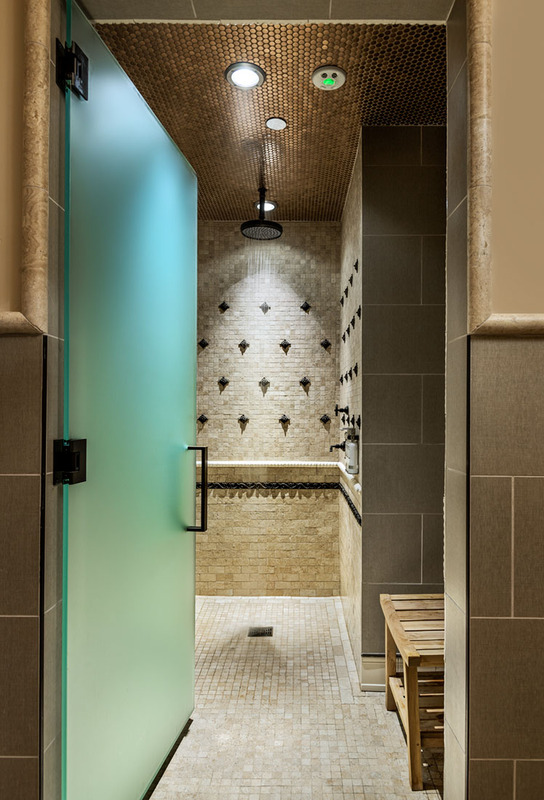 Men’s and women’s lockers rooms with steam rooms, saunas and hot tub. 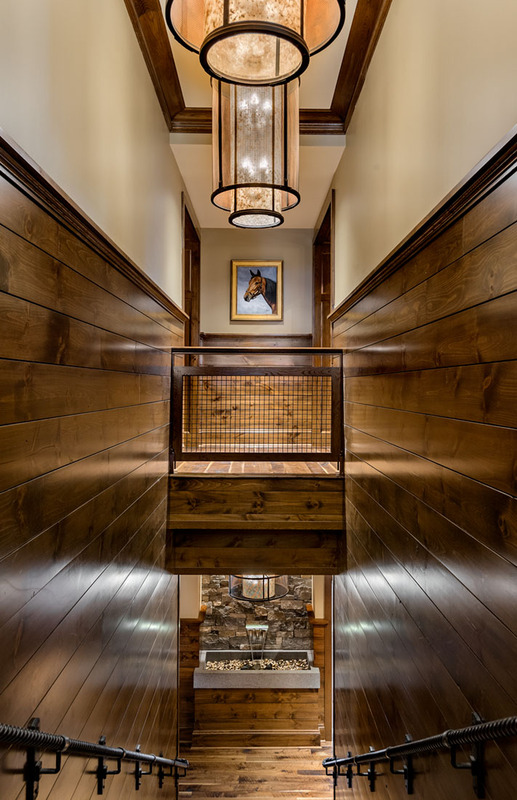 Several pieces of original artwork were commissioned for the project including abstract portraits of prized horses, oil painted portraits of horses and paintings of the golf course. 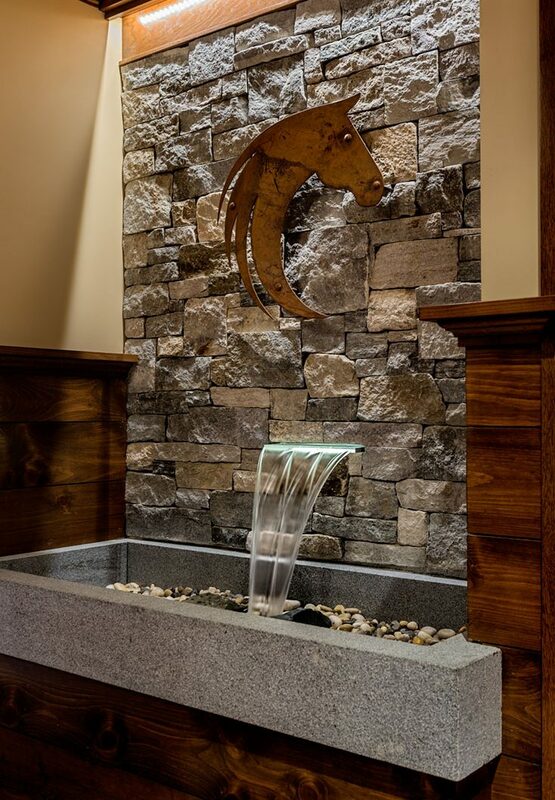 Custom bronze and glass wall sconces from Hammerton. 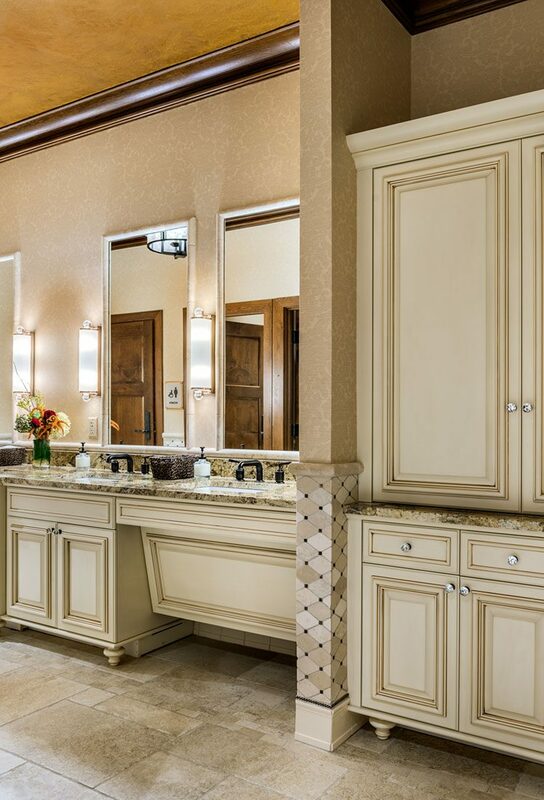 Spa with pedicure, and manicure stations with private massage room with Venetian plaster walls. Artwork in the dining spaces is framed conceal integrated acoustic wall panels.